Madam Speaker, we can all agree that the Hurricanes of 2017 were particularly brutal to our tourism sector which sustained catastrophic damage, accounting for the majority of the $2.5 billion plus damage sustained by the Territory. Madam Speaker, this brief narrative says a lot about the recovery in our tourism sector over the last year. It also speaks to the character and the resilience of the people and these islands and all those who make this territory their home. It is a fitting accolade on which to reflect as we enter the Christmas season, a season of giving and being thankful for God’s many blessings. Madam Speaker, I am confident and pleased to report that the territory’s tourism sector is not only rebounding in all areas, but that we are also entering what I see as a bright future for what is our leading area of economic activity from the vantage point of our overall Gross Domestic Product - GDP. In all areas of the sector; from yachting to cruise, villas, resorts, small properties, marinas, restaurants, car rentals, gift shops, boat rentals, overnight arrivals and day trippers there is a strong rebound in tourism activity. Worthy of special mention here is the rebound on our Family Islands of Anegada, Jost van Dyke and Virgin Gorda where tourism is the primary economic activity. Madam Speaker this activity is the foundation that will lead to strong tourism growth in the years ahead. And Madam Speaker it is just beginning. Madam Speaker, one of the tourism sub-sectors that were severely impacted by the double punch of last year’s hurricanes, was the resort sector. Here our flagship resort Island Virgin Gorda, was severely battered. I am fully aware as Minister of Tourism that over the last year there has been much concern and discussion about the status of the recovery of the resort sector, a most important area of our tourism. Madam Speaker, over the last year plus, the Premier’s Office most ably assisted by the BVI Tourist Board has spent a considerable amount of time and energy working with our resort owners, large and small alike to ensure that they are rebuilt, while at that same time working to attract new investment to our shores. Madam Speaker I am pleased to report to this Honourable House and to the people of this territory that considerable progress is being made especially in the area of getting our large properties reopened. In this regard, we have seen progress with the reopening of Scrub Island, Necker Island, Oil Nut Bay, Guana Island, Sugar Mill, Sebastian’s, Anegada Beach Club, Anegada Reef Hotel and Cooper Island Resort. This also includes many properties such as Maria's by the Sea, Treasure Isle, Mariner Inn at the Moorings and several of the properties on Anegada and many others that were able to keep operating and provided service during this critical period. I am particularly pleased to also report that Fischer’s Cover and Guavaberry Spring Bay on Virgin Gorda along with many villas and small properties are now set to receive guests for this holiday season. This winter will also see the opening of the Marina Village at Oil Nut Bay a brand new offering for our yachting guests. Madam Speaker, we also welcome the opening of the new Quito’s Inn on Cane Garden Bay a project that is leading the aggressive tourism recovery in this most important tourism corridor. On Anegada we also welcome the brand new cottages at Cow Wreck Beach which entered the market just in time for Lobster Fest this year. Madam Speaker, while many of our larger properties remain closed, I am pleased to report we are in direct dialogue at the owners’ level with all of them and that they are all in the rebuilding phase. This includes Rosewood Little Dix Bay on Virgin Gorda set to re-enter the market for next winter 2019/2020, while plans call for Bitter End to reopen its Marina and Restaurant in early 2019 and work continues apace on Saba Rock and Mosquito Island. Also on Virgin Gorda I am most pleased to report that Biras Creek Resort will rebuild to an even higher level with current plans calling for the first phase to be open by winter 2019/2020. Turning to other resorts, Peter Island Resort is also quite advanced with their extensive rebuilding plans, similarly, Long Bay Resort here on Tortola now has new owners and plans are moving at a feverish pace to commence the rebuilding, expansion and repositioning of that property. This will be a boon to the tourism product on Tortola. Madam Speaker, a key element of the aforementioned four principles for rebuilding the territory’s tourism product post last year’s hurricanes, is that of attracting new investment in the tourism space. Here again we are making progress. Last month, Cabinet approved the undertaking of two development agreements for the building of two new resorts in the territory one at Blunder Bay on Virgin Gorda and the other development on Norman Island. Madam Speaker, I must say that these two new developments will be the first such announcements in the territory since a similar push was made by this Administration when it first came to office in 2003 - 2007, more than a decade ago. These two new resorts will see a spend of close to a half a billion dollars overtime in the territory just on the construction phase. When you add that to the redevelopment of the existing resorts I can confidently say that over the next several years the tourism sector will be the lead engine driving this economy during construction and post construction. Madam Speaker, this must be viewed in the context of what it will mean for the people of the islands, the provision of business and employment opportunities and the additional spend on the external branding and positioning of the territory in the global tourism space. It must also be seen from the perspective of what it will mean for government revenues such as accommodation taxes, the Environmental Levy, importation duty due to consumption, NHI and Social Security payments and hence viability, the overall circulation of new money in the territory and the maintenance of our standard of living in this territory. Madam Speaker, for our young people its spells hope and opportunity. Madam Speaker, spending in another area while it is less visible in some ways, is just as important. Here I am speaking of the significant reinvestment that is also taking place in the marine side of the tourism sector. This investment is going into the acquisition of dozens of new charter yachts by a number of charter companies, replacing the fleets damaged and destroyed by the hurricanes. It is also going into the rebuilding and expansion marinas such as at Nanny Cay, Village Cay Marina, Virgin Gorda Yacht Harbour, Soper’s Hole Marina and the Moorings base in Road Town. Madam Speaker all of this investment also means that the BVI tourism product will be competitive for years to come because we took advantage of the Irma Opportunity. Madam Speaker, as the tourism sector takes on an even more central and leading role in our economy, we must engage in more long term planning to ensure success in the future. A key decision taken in this regard in the aftermath of the hurricanes, and one also driven by our tourism stakeholders was to allocate funding to engage in the development of a new National Tourism Strategic Plan. This plan is essentially about our future in tourism and ensuring sustainability, viability and being globally competitive. My Government produced an RFP which was placed in the global marketplace earlier this year and we’ve received 19 Expressions of Interests from here at home and across the globe. These are currently being reviewed with an eye towards shortlisting the Top 5 applicants. Madam Speaker, we expect the next phase of the selection to be completed before the end of Q1 2019 and work to begin on the plan at which time public consultations with residents, stakeholders both locally and internationally as well as government agencies will be facilitated. A National Tourism Strategic Plan and Policy will be designed and will take into account the needs for all government departments and agencies to develop a synergistic approach to our main industry. This plan will include micro strategic plans for the four main islands of Tortola, Anegada, Virgin Gorda and Jost van Dyke as well as plans for possible development on other islands. It will incorporate how we develop our various niche markets within tourism as well as look at product development and capacity planning for our major attractions. Most importantly it will also consider the need to develop our human capital in BVI. Madam Speaker, along the same lines of planning for the future and staying competitive, on December 11, The BVI Tourist Board signed a memorandum of understanding with Airbnb to collaborate on areas of common interest. This strategic partnership aims to drive local, authentic and sustainable tourism to our BVI and as well as provide revenue for residents. This will aid in strengthening our continued tourism development. Madam Speaker, Airbnb makes it much easier for our small locally owned properties to market their properties and hence enter the tourism space. The next phase of this partnership will involve the efficient and effective collection of Governments accommodation taxes emanating from the use of these properties. Discussions are already underway. Madam Speaker, on the all-important product re-development front, it is at an all-time high as many agencies are engaged in rebuilding the tourism infrastructure. A major signage initiative is currently being worked on by BVI Tourist Board. These attractive and informative destination signs have been re-designed and re-installed in full on Anegada. Signage was also replaced with new additions in Cane Garden Bay as well as all other main islands. The goal is to replace other key signage across all the islands in a phased process. Work continues adding bathrooms to popular beaches and we expect to see bathrooms added to Smugglers, Long Bay, Brewers Bay, Spring Bay and Savannah Bay in the foreseeable future. Cane Garden bay has already been completed. Our guests are asking for these enhancements and for us to maintain our luxury designation, we have to meet the demands of our visitors. 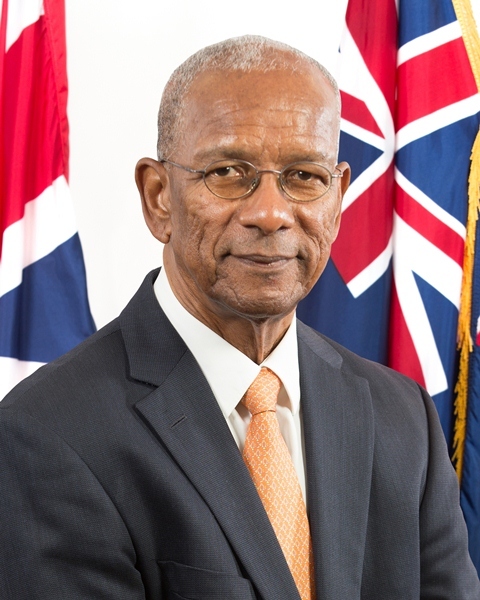 To meet this objective, a comprehensive $12 million dollar plan has been prepared by the BVITB is in place and we expect to see work continuing at an even faster pace in the first quarter of 2019. Madam Speaker, in the cruise tourism space, I was proud to lead a delegation that attended the FCCA (Florida Caribbean Cruise Association) Conference in early November in San Juan and learned of the latest developments in the cruise sector and provide destination updates to the various cruise industry stakeholders. We were happy to report on the progress made in BVI destinations frequented by cruise visitors as well as the introduction of new destinations and new products. Anegada and Jost Van Dyke are now being recognized as cruising destinations and join Virgin Gorda and Norman Island as premier stops for small boutique ships such as Crystal Esprit, Star Clipper and Star Pride. It is our intention to target these smaller vessels as they provide an economic opportunity for all residents and aid in the disbursement of guests. Over the past few months, the BVI Tourist Board, following the mandate of the Office of the Premier, has become significantly more active in the promotion of the cruise sector of Tourism. Several strategic meetings have been held with Tortola Pier Park, BVI Ports Authority & the Ministry of Communications & Works to strategize on the best way forward for the promotion of this sector. The Board will be the lead organization in marketing the destination to the Cruise industry including representation to the FCCA, attendance at operational meetings and attendance at tradeshows such as SeaTrade. The BVITB already chairs a Cruise Stakeholders forum which meets weekly. We are optimistic about the future of cruise and expect approximately 200 cruise calls and over 580,000 passengers roughly 82% of our pre -storm numbers for the season ahead. Recognising that our Guest Experience has to be second to none, Madam Speaker, the BVI Tourist Board has remained committed to industry training across the BVI. This not only includes training for industry insiders but also for government agencies and other industry partners who interact or impact our guests in some way. This year the Board hosted a series of Guest Experience Workshops on our main islands. These workshops enable the Board to impart the service skills and practices in the Territory for service providers to deliver a distinctive guest experience which is predicated on Safety, Efficiency, Friendliness and Authenticity. The aim is also to ensure that guests have positive memories of their visit to BVI. Over 300 residents participated in these workshops. Engagement is also ongoing with our education system with over 500 students benefiting this past year directly from seminars on tourism and hospitality. Madam Speaker, as a destination we continue to recognise and build upon the fact that events are now at the forefront of vacation planning and the BVI Food Fete has become one of the destination’s leading annual events. This year, our signature event the Anegada Lobster Festival drew record attendance up from previous years and it was estimated that the attendance both days summed up approximately 3500. The event saw visitors from Europe, United States and Canada as well as a strong representation of residents of the USVI and Puerto Rico. BVITB has engaged the services of sporting and events marketing firm, AYS, to assist with enhancing the profile of BVI Food Fete events, including sourcing international sponsors, chefs and influencers. They were on the ground for all the events this year and plans are already afoot to greatly enhance the production of BVI Food Fete in 2019. We are anticipating high attendance at this year’s annual Foxy’s New Year’s Eve celebration which has again made the Top 10 List of global places to ring in the New Year. I’m also happy to see the return of horse racing to The Ellis Thomas Downs which is sure to attract visitors from our neighbouring USVI. As we approach the end of 2018, our accommodations inventory grows daily and currently stands at approximately 1000 rooms (land-based) and 3200 berths (at sea), the latter representing about 75% of our pre-storm inventory. From all accounts we anticipate that our room inventory will be near normalcy by the end of 2019 or by Q2 2020. Madam Speaker, there is no better way to be recognised for your work than a commendation from your peers and the leading sector press. As a tourism destination the BVI continue to receive accolades for our tourism product, a tribute to all who are engaged daily in this key sector of our economy. Over the past year the BVI has been ranked #1 place to visit in the Caribbean by US News & World Report for the second consecutive year, the destination also won that publication’s 2018/2019 Best Winter Vacations Award for No. 1 Place to Visit in the Caribbean, No. 1 in Best Caribbean Beaches and No. 3 in Best Family Vacations in the Caribbean. Travel & Leisure also listed Jost Van Dyke and Virgin Gorda among the top islands in the Caribbean, Bermuda and the Bahamas for 2017 and 2018. The territory was awarded Charter Destination of the Year at the British Yachting Awards held last week in London where the BVI proved to be the popular choice by being recognized as having one of the finest cruising grounds in the world. We were also praised for our remarkable recovery since last year’s hurricanes. We’ve received accolades and picked up an award from The Family Travel Association at their annual conference in Bermuda as being a great destination for families. The organization also applauded BVI for the work we do with education and tourism education for children. Not to be outdone, BVI also garnered an award from the dive industry at DEMA as a top dive destination for 2018. Madam Speaker, not bad for a destination that confronted two category 5 hurricanes in the same month a little over a year ago. Madam Speaker, 2018 has been a rebound year for our British Virgin Islands across the board, but even more so for our tourism sector. Our Ministries, Departments, stakeholders and the BVI Tourist Board have all worked diligently with the aim to have BVI return to its million-visitor mark of 2016. On behalf of the Government and the BVITB, I want to express our sincere thanks to our industry stakeholders and the public for their strong support over the last year and we look forward to their continued cooperation and support in 2019. Madam Speaker, I thank you.